in case i couldn’t admire you more, i received an email from you the other day pronouncing your “clean label” drinks, which i promptly opened. since going corn syrup-free in 2010, it’s been a mission to ferret out the places and items i can eat and drink. while i have been failing spectacularly lately, i now know that you are one place i can get a tasty beverage and know that i’ll at least be HFCS free, if not all corn free*. it takes a long time to come clean. according to a recent startribune article, this has been years in the making. in 2006, you started with rainforest alliance coffee beans, moved to milk, chocolate chips, vanilla, caramel (GOOD TO KNOW – but is there regular corn syrup in it? ), PUMPKIN (!!!! ), and now here we sit with a menu of 5 drinks that are 100% clean label, 2 of which are my go-to drinks – the crafted press and mocha -, with the promise of the entire drink menu going clean by the end of the year. so while i was cursing the system of corn-heavy foods in 2010, you were already on your way to nixing artificial junk. while i wrote to companies about the perils of including corn syrup in their ingredients, you were moving to chocolate chips versus chocolate syrup. while i blogged about big ag monopolies, you were working on becoming 100% rainforest certified. that’s really what this all comes down to: a better taste. have you tasted ice cream made with cream, eggs, and vanilla versus the junk you buy in a gallon bucket? it JUST TASTES BETTER. so while i would like to see an actual ingredients list on those flavor syrups (it’s not that i don’t trust you; it’s just that i’ve seen GMO-free corn syrup, and that’s rather disingenuous), i know that i’ll choose the ‘bou over the bucks or dunn, and not just for taste (although that’s a big part of it). and while i still have a beef with you because you don’t offer your pumpkin drinks through thanksgiving, i am very encouraged by the clean labels, and just when i thought i couldn’t love you more for letting me get a hot crafted press, you go and do something crazy like this**. **the next big thing that would make me swoon would be a massive recyclable/reusable cup effort. i’d buy stock. (ok, really this can really be boiled down to ONE reason – #2). so, i requested an ice cream maker for christmas, and so far, i am not disappointed (and i’ve only made about six batches of ice cream). some recipes are a little more complicated, especially those calling for eggs that need to be cooked, but you can find egg-free recipes (i love you, ATK, but the easier the better for ice cream). my chocolate recipe is milk, cream, cocoa, sugar, brown sugar, and vanilla. mix together, put in ice cream maker, chill, eat. total prep time is, at most, 10 minutes. the hardest part will be waiting for it to chill down enough. if you prefer soft serve, you can eat it right out of the maker. at this point, after i’m done making some ice cream, i just rinse out the ice cream maker container and throw it back in the freezer so it’s ready to go for the next round. next on my list of ice cream flavors to try: peanut butter chocolate and cookie dough. when spring comes, i’ll pick some raspberries and strawberries and make fruity ice cream. today on FB, i once again got to say something about all the research i’ve done on corn since starting my no devil’s syrup odyssey. one of my FB friends works for eli lilly and wanted to know why the distrust of GMOs and that everything is GMO, so what’s the deal here. i replied saying, well, GMOs aren’t inherently bad, but people have a distruct because there are plant genetic modifications that would never ever happen naturally. when they were figuring out round-up ready soybeans, they inserted a gene from a petunia. that wouldn’t have happened in a traditional GMO setup. anyway, i went on to say that i’d be more concerned about the pesticides and herbicides that the RR seed allows than the petunia gene, but that’s just me. and here’s an excerpt from my devil’s syrup book that has my opinion on the matter! Ultimately, I’m not saying GM foods are bad. There is a lot of potential with transgenics and what companies could do to increase yield and help seeds resist pests. Transgenic seed and the process of creating them is not inherently bad. The lack of “regulation” on them, however, is disturbing and baffling. If the government were as concerned about GM seeds as they were about people consuming milk straight from the cow or what temperature I should cook my steak to, there might be a different attitude toward GM foods. As it is, as of 2005, eighty percent of soybeans in the US were GM, as well as eighty-four percent of canola, seventy-six percent of cotton, and forty-five percent of corn. Whether or not you like it, if you live in the US, you are most likely eating GM foods. I don’t think labeling the foods would hurt at all, but with the current state of processed foods in this country, you would be hard pressed to find a box of corn flakes without the GM label. The label, however, might shift the market if the average consumer is wary, and if labeling GMs becomes as a commonplace requirement as stating the nutrition facts on a box of food, then a true shift has happened. It means the US government acknowledges that GMs are, in fact, different than regular seed and should be regulated as such. I don’t think it’s going to happen on a federal level any time soon, but on a state level it could happen. And government regulation, or rather, deregulation, is part of the issue with how Monsanto does business before that devil’s syrup hits the grocery store shelves. it’s been a while since i’ve done a devil’s syrup update. i’ve been avoiding it like normal, except when september rolls around and coffeehouses bring out the pumpkin spice everything, it’s kind of hard to keep my ban going when i love all things pumpkin. 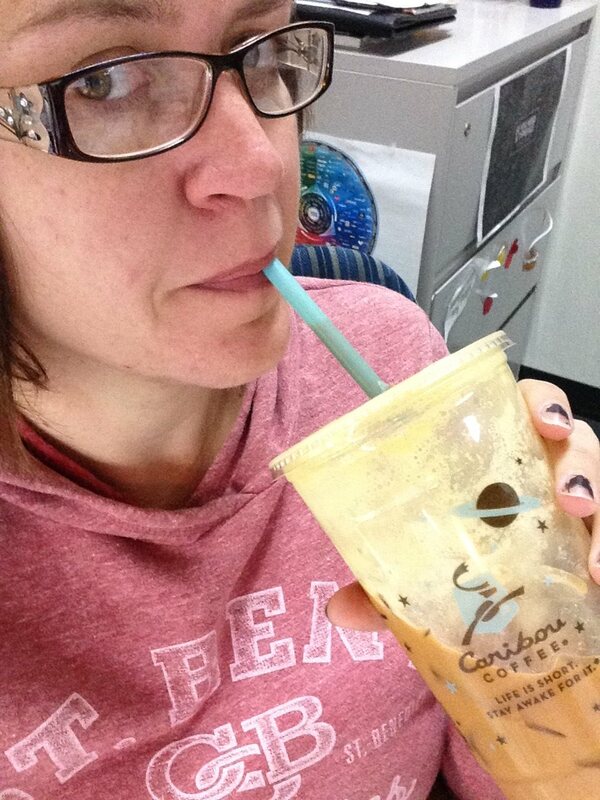 i’ve cut back this year on my pumpkin coffee intake to avoid the DS, but it’s so yummy. curse you, caribou! curse you, devil’s syrup! i could be going all out pumpkin, but no! other than that, there has been a shift to devil’s syrup in some ice creams, as i’ve discussed earlier. i’ve noticed that all processed stick-shaped meat has DS in it. i thought i was safe! but even bratwurst bought directly from a meat market has it in it. the market in eyota has polish sausages that are DS-free, so i might just have to go with that. come one people; why do meats need sweetener? speaking of sweetener, my coworker and i decided to go sugar free on our coffee creamer for the winter months, but every single sugar-free creamer we’ve picked up has had corn syrup solids in it. HOW IS THAT SUGAR FREE???? corn syrup is pure sugar! it boggles my mind. i’m almost done christmas shopping. i’ve got to figure something out for my grandma and pick something up for jane and my mom, but i think everyone else is done. i don’t know what this has to do with devil’s syrup, but there it is. happy almost-november! i requested an ice cream maker for christmas. after another attempt at trying to find decent ice cream at mike’s, i have given up hope in the major ice cream brands. mike’s doesn’t carry breyers, and they only have two flavors of ben and jerry’s. i thought i would buy cadbury ice cream bars since they’d been really good and devil’s syrup free when the first came out, but i saw they were now owned by blue bunny, and SURPRISE devil’s syrup. i ended up buying the sugar free ice cream, which has about 1400 ingredients. so, here’s hoping an ice cream maker makes its way under the tree for me this year. homemade ice cream is delicious, and i would be able to make frozen fruit ice, etc. at the same time. excerpt from devil's syrup writings! i just wrote these couple paragraphs for the last chapter of my DS book! This part of the state is a contrast in land studies. On the one hand, there are flat expanses that open the sky up to a driver with few trees dotting the horizon. Sunsets are vast and pastel. Fields are large, but there are more owners than west central; farmhouses crop up often and are easy to spot with the small cluster of trees close to the roadside. There are far fewer trees in this part of the state, and once you’ve gotten used to trees, it’s hard to go back. When a person heads in a more southeasterly fashion toward the Wisconsin/Iowa/Minnesota intersection, the river valley rears its head, and valleys dip in and out of existence. One minute you’re driving across a flat expanse of corn-riddled farms and the next you’ve pushed on the brakes as you head into a rolling valley filled with trees with a river at the bottom. Nate and took a drive to a valley town during July, and as we drove along the ridge of the valley, we could see the rolling hills and trees – over the tops of corn fields. “This would be a whole lot prettier if there weren’t so much effing corn,” he observed. Truer words and all that. however uncouth it is – yum. i’m not a huge drinker, and i generally like my beers to go down easy – none of this heavy stout stuff for me. 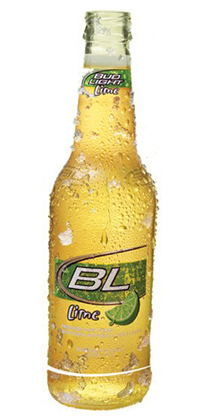 lately i’d been getting bud light lime because it’s tasty and light. i knoooooww that i really need to branch out in my beer habits, especially since it’s made from, you know, CORN. i assumed it was GM corn, and when my sister liz shared this link, my assumptions were confirmed. on top of that, who knew that some beers have DEVILS SYRUP in them?? sigh. well, i’d been leaning more toward ciders lately anyway, a local one called ciderboys and also angry orchard, which is made by samuel adams. it might be time to move to wheat beers, which wouldn’t be bad. i do like shocktop, and summit makes/made an organic beer i wouldn’t mind trying. unfortunately, for a person who likes to drink swill, the organic/local brewers don’t really brew swill. another post because why not. i completely blew my fourth anniversary of being (mostly) corn syrup free. i don’t think i’ve completely converted anyone i know, but a lot more people are aware. that’s all i can ask! an excerpt from the last chapter of my DS book, that i’m so close to being able to print out and have people look at for more ideas. So what about devil’s syrup? One thing I’ve noticed is that more and more food producers are leaving it out and using sugar. Last summer was pivotal when I went to buy some low-fat graham crackers and saw a note on the regular, full-fat box that said “Now HFCS-free!” Of course my cynical mind said, yep, and instead they’re using regular corn syrup. I was more than pleasantly surprised when I scanned the ingredients and saw sugar in white caps. I still had to make my own marshmallows for the smores I was going to be roasting over a campfire, but chalk one more item up in the DS-free column. Subway recently changed their bread recipes, so all the bread they use is now DS free. If I’d like to have a wheat-bread sandwich, I can now eat it with ease of mind. They also got rid of an ingredient in their bread that’s used to make yoga mats, but that’s another story. excerpt from DS writing because i’m lazy tonight. My family lived on the farm my dad’s father had purchased in 1944, where we lived from 1979 to 1993. (The farm did stay in the family – we sold it to my cousins.) The house was the original house, falling apart at the seams as well as everywhere else. The kitchen tiles were so old, that a quarter of them were broken and missing from the floor. It was easy to sit on the floor and pick at pieces of tile. The kitchen was large, a real farmhouse kitchen with space for a hutch, woodstove, big kitchen table, fridge, and after a while a gas stove. It also was the place we did most of our living. After suppertime, my dad would quiz my siblings and me on geography, referencing the large, laminated map of the United States that hung on the wall. While our living quarters had definitely seen better days, I took pride in the fact that we were the only family I knew who had a complete encyclopedia. In addition to the evergreens, we had acres and acres of wooded land full of oaks and maples, as well as a few apple trees. There was a large crabapple tree right outside the kitchen window that bloomed white, frilly flowers in the springtime that I would cut slips of to take to my teacher. It smelled delicious. There were also a couple baking apple trees as well as a few eating apple trees. When I was eight or nine years old, I went out to the baking apple tree, picked them, peeled them, and made a pie using the crust recipe on the back of my mom’s pumpkin pie recipe card. My dad was home, so there was no fear of me starting the house on fire, but when my mom walked in the door that evening, she was completely flabbergasted. So started a love affair with baking. When we moved in (I was a newborn), the farm had the house, a barn, and a garage on the property. The house was yellow, but early in my life I remember a platoon of painters (all friends, family, and acquaintances, I’m sure) setting up shop on scaffolding surrounding the house, and the house went from the flaking yellow to a barn red color that would define the house for years to come. Whenever my brother, eight years my younger, references that home, he calls it the red house. We spent many hours playing in the barn, charging up its stairs to the hayloft that didn’t have any hay in it, and playing house. I remember gathering nuts, grass, old vegetables from the garden, and sometimes dirt to pretend to cook – no doubt concocting something brilliant. The big white barn was built by my dad and grandfather, and it was a shock when I woke up one morning and saw the barn was on fire – a raging, huge fire. Firetrucks rolled in the yard and started spraying our house down so the fire wouldn’t spread. The barn and everything inside was lost, as well as a chunk of the large oak tree that defined our playtimes many days toasted. I was devastated when I saw the barn burning, not because it was burning, but because I realized it was probably my fault; we always had candles lit in the hayloft because it was dark in there. I imagined that candle I had burning down to its stub, then the flame licking along the old wooden dresser we sat them on, finally catching and causing complete disaster. I held onto this for years and years, and it was only in the last couple years that my sister and I (she felt as equally guilty) learned from our parents that the fire started in a completely different area than where we had our candles, and that it was most likely the cause of faulty wiring.